St. Jude Medical's Eon device for spinal chord stimulation therapy has been upgraded to provide ten years of service after implantation. With regular recharges, it can provide therapeutic zaps every day. In fact, at high stimulation parameters, a 10-year-old Eon device will maintain at least 24 hours of continuous therapy between recharges. 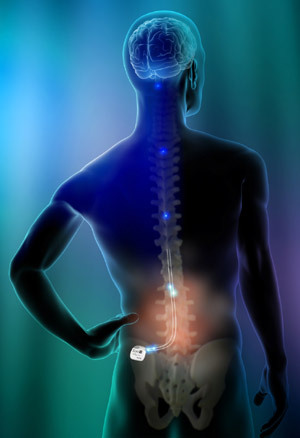 For patients, this means the Eon device can provide sustainable therapy and maintain a reasonable recharge interval for 10 years, potentially resulting in fewer battery replacement surgeries. "We continually strive to develop best-in-class products that enhance patients' quality of life," said Chris Chavez, president of St. Jude Medical's ANS Division. "The addition of battery life-extending technology, which enables the 10-year battery capability, is a prime example of our commitment to making a good product even better."